My research interests focused on the nucleic acids and heterocyclic chemistry, in particular on synthetic methodology and the multisteps synthesis of the potentially active nucleosides as antiviral candidates, especially the anti-HIV, anti-HSV, and anti-HCV agents. Designing and modification of new heterocycles as nonnucleosides reverse transcriptase inhibitors (NNRTI’s) was a part of my interest. The nitric oxide synthase inhibitors (NO-synthase, the enzyme responsible for depression and mental disorder), such as pteridines and tetrahydropterines as antagonist factors had taken a part of my work as well. My collaborations with several international institutes such as, national cancer institute (NCI, USA), Prof. E. De Clercq, Prof. C. Pannecouque and Dr. Leyssen of Rega Medical Institute in Leuvene (Belgium), Dr. G. Gosselin of Idenix, (Montepollier, France), Prof. P. La Colla, University of Cagliari (Italy), Prof. Langer of Rostock University (Germany), Prof. Hartmann of Saarland University (Germany) and Profs. S. Hameed and A. Saeed of Quaid-i-Azam University, Islamabad (Pakistan) highlighted with several contributions in the field of antiviral and antitumor chemotherapy. Currently, my research program is focused on the early tumor diagnosis using flourescence imaging methodology. In addition, the synthesis of new cytochrome450 (CYP17) hydroxylase inhibitors as new leads for prostate cancer treatment is ongoing my research program. Synthesis of new anti-HIV/AIDS, and anti-hepatitis virus C (HCV) candidates. 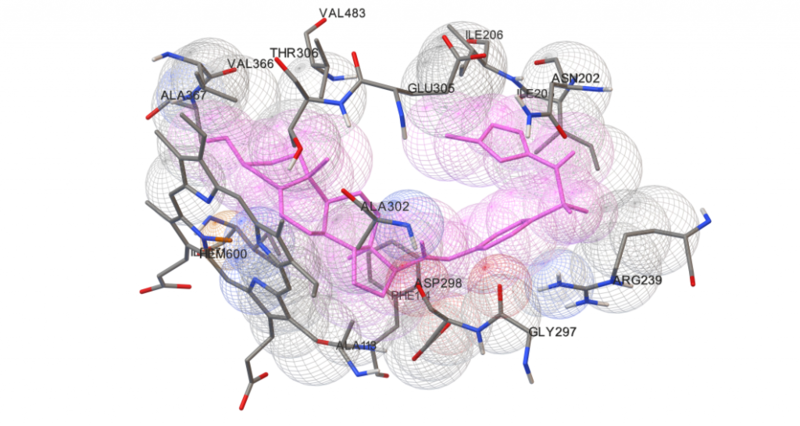 Designing and synthesis of new steriod analogues as inhibitors of cytochrome 450 (CYP) which lead for cancer treatment, especially inhibitors for CYP17 α-hydroxylase for treatment of prostate carcinoma. . Early tumor diangosis using flourescence imaging methodology, by synthesis of small fluorescent molecules.